Rugby took me to Glasgow (fun, but nothing special) and Dublin (fun, and very special). 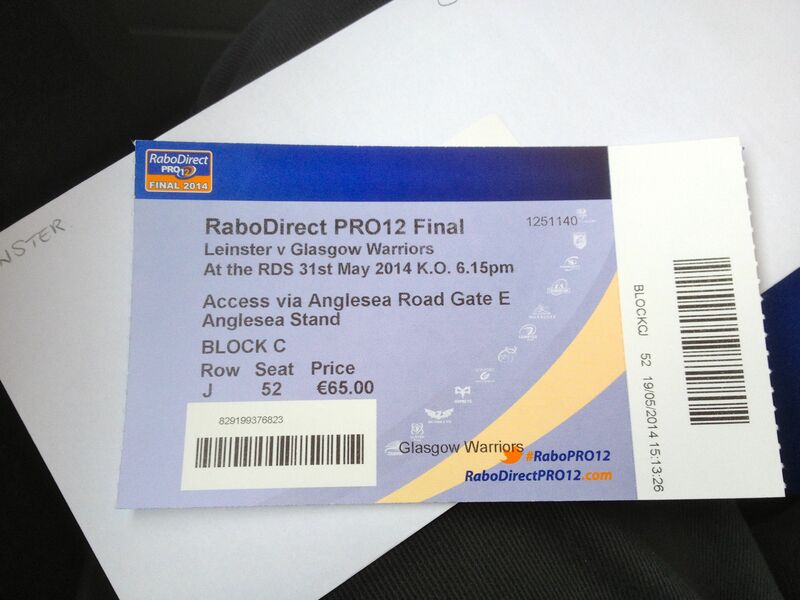 The Dublin outing was a day trip to see Glasgow Warriors take on Leinster in the final of the Pro 12. I’d seen the day trip package advertised on the Warriors’ website just a few days before. It was on the charter flight for injured players or other squad players not selected, wives and girlfriends, sponsors and supporters club members. A few seats were left over. After some agonising about the cost, I just went for it. The result went the wrong way, but it was a lot of fun anyway. A day out in Dublin usually is. My son’s ice hockey games gave me some long trips and some great memories. His team (Edinburgh University) had back to back league games in Birmingham and Sheffield in February, so I got a cheap flight and went to see those. They went to the BUIHA championship tournament in April. Sheffield again… I can get too much of a good thing. I drove south for that. They lost in the final. Then in May (having won the Division 1 (North)) title, they had a playoff against Oxford University (South champions) in Blackburn. Another long drive down south. Both Blackburn and the game are best forgotten. No long distance travels for horse racing this year – Ireland, France and England in past years. 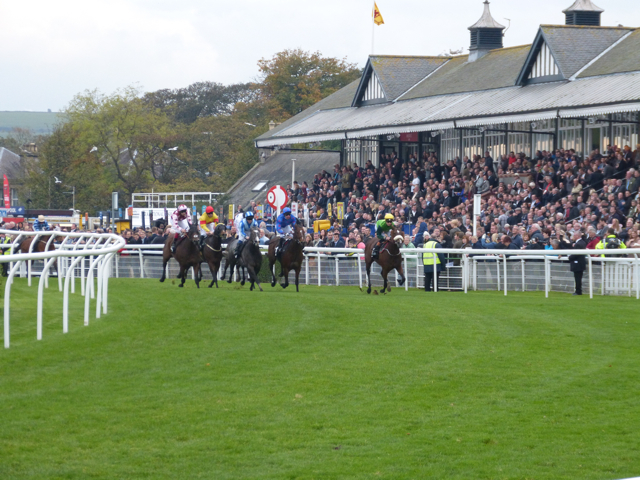 I did get to Musselburgh one day in October. It’s so close it hardly counts as travel. It’s in East Lothian however, and that’s where John Muir hailed from. 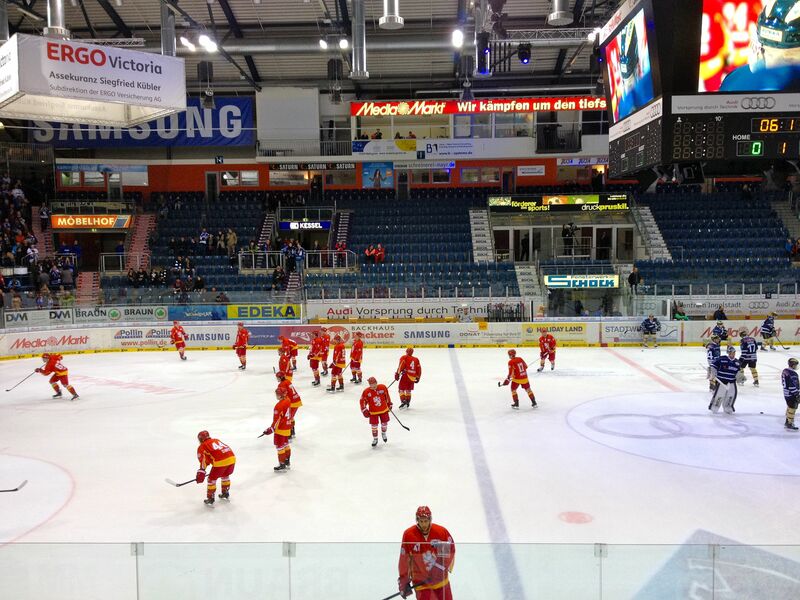 I saw ERC Ingolstadt play ice hockey twice (not the main purpose of the visits, of course). It was a momentous year for them in winning the German championship for the first time. I wish I’d seen more games. With all the other sports travel I didn’t venture too far to support Edinburgh Capitals. Does Dundee count? I saw an American football game live for the first time – Ingolstadt Dukes. I didn’t climb any Scottish mountains this year. I always seemed to have something else to do on the weekends when the weather was right. I made up for it with 6 peaks in the Alps. 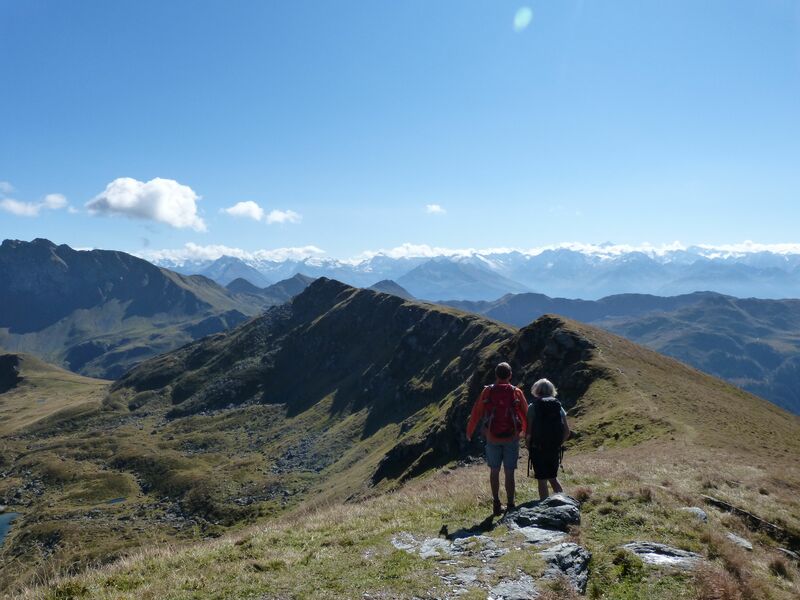 The best would have to be getting to the top of Gamshag – 2,178 m (7,145 ft) in the Kitzbühel Alps. Hard work, but worth it. So where does the award go? I got a huge kick out of my son’s team’s successes. The same for my climbs. I guess the trip to Dundee for his game against St Andrews must be the winner. 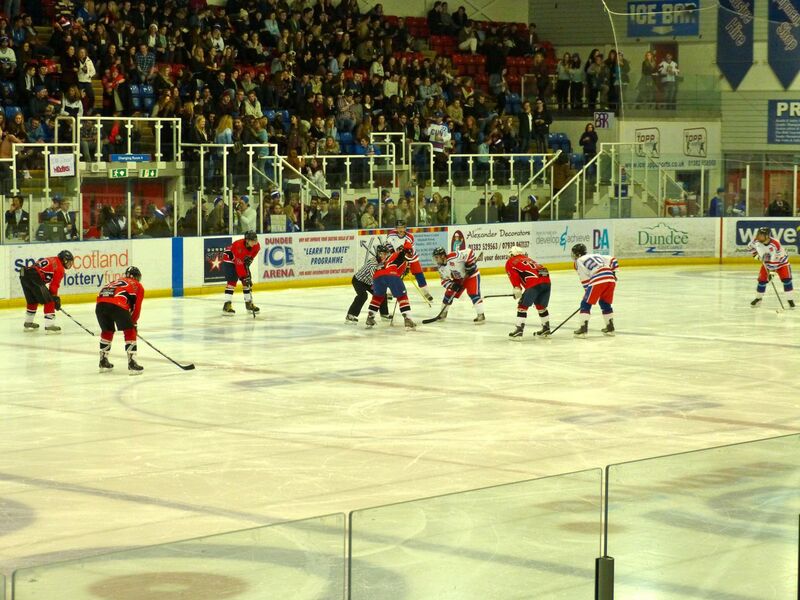 They lost, but it was wonderful for him to be playing in front of a noisy crowd of about 1,000 St Andrews students. This entry was posted in Chantilly, Dublin, Kitzbühel, sports and tagged Alps, Dublin, ice hockey, Ingolstadt. Bookmark the permalink.